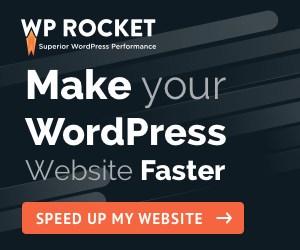 Rank Math Vs Yoast SEO – which is the best WordPress SEO Plugin? This is a very common question these days and the reason is obvious. I have to say that the timing of launching Rank Math SEO Plugin was perfect. Why am I saying this? Because, due to Yoast SEO bug, people started looking for a better Yoast SEO alternative. And that’s the time when MyThemeShop team came up with the new kid in this family of WordPress SEO Plugins, named Rank Math. So, let’s compare Rank Math vs Yoast SEO and find out which one is better between the two. Disclaimer: I am writing this comparison between Rank Math SEO Plugin & Yoast SEO Plugin, just to share my knowledge and experience after using them from some time. Without any doubt, till date, I have used the Yoast SEO Plugin for all of my websites. But after using Rank Math on this website, I can say that this plugin has significant advantages over the Yoast SEO plugin. I am not biased with any plugin and this is not at all a sponsored post or anyone paid me to favor Rank Math. Why You Need A WordPress SEO Plugin? Why Rank Math Is Better when We Compare Rank Math Vs Yoast SEO? Who Wins The Battle of Rank Math Vs Yoast SEO? Do you know why WordPress is good for SEO? Because doing SEO for your blog post using an SEO Plugin like Rank Math or Yoast SEO is just a cakewalk and it saves a lot of your time. SEO optimization needs a checklist to validate. And that is the major reason we need to depend upon an SEO checklist so that we can make sure that the article is well optimized for different targeted keywords and different other parameters. These SEO Plugins come up with a very good checklist on so many items that we can easily measure and accordingly fix those items for our content. So, can’t imagine the life of a WordPress blogger without an SEO Plugin! Now, let’s proceed with the biggest debate – which WordPress SEO plugin is the best Rank Math Vs Yoast SEO (Free version). Well, I have already mentioned that I have not used the Yoast SEO premium version. But I was always fascinated with those amazing features. Anyway, from the day I have installed Rank Math SEO Plugin on this blog, I am feeling quite happy. Because I can feel that I have a better SEO Plugin with lots of features compared to previously installed Yoast SEO Plugin. And when I compare Rank Math Vs Yoast SEO FREE in detail, I found many awesome points. Immediately after installing Rank Math WordPress SEO Plugin, I have removed 5 plugins. I took the screenshot of those plugins. Rank Math alone is enough to serve these functions. These are just a few features that Rank Math is providing. If you compare the features list of Rank Math vs Yoast SEO free version, you will be surprised to see many awesome features are coming absolutely free with Rank Math. Follow my another tutorial on How To Configure Rank Math With Ideal Settings. Let me take you through all of these features one by one. The very first thing that will attract you is the interface of Rank Math SEO Plugin. There is no doubt that the color combination and awesome smooth UI of Rank Math are far better than boring Yoast SEO interface & UI. Not only that, Rank Math SEO will give a very easy to follow wizard. You can also import SEO settings from the Yoast SEO Plugin. That means if you are using Yoast SEO plugin from years like me while switching to Rank Math you are not going to lose anything. That’s the best thing as a blogger I really like. Installation part is very easy and cool for beginner bloggers on this Rank Math Vs Yoast SEO comparison guide. The best part of Yoast SEO plugin is its focus keyword feature. Using Yoast SEO Focus keyword feature, we can easily optimize our article for that keyword and easily get better ranking in Google search. But Rank Math is thinking one step further. They will provide you the option to put 5 focus keywords and accordingly you can optimize your article for multiple keywords. This is a Yoast SEO premium feature, which is available as FREE for Rank Math SEO Plugin. But, to get this feature with Rank Math, you have to register with Rank Math official website and authorize the Plugin. This is just a simple registration and there is no charges or fee involved. Another awesome feature is the Google keyword suggestion. Yes, while choosing a focus keyword, Rank Math will automatically suggest the keywords and long tail keywords for those terms. You can choose them as per your choice and accordingly optimize the article for more keywords. Yoast SEO plugin doesn’t offer any Google keyword suggestion feature. You can refer to the above image to see how Rank Math is showing the keyword suggestions for your search term automatically. It is very common for every blogger to link to outbound link or affiliate from blog posts. Although we can handle the affiliate links using Thirsty Affiliate plugin, but for an outbound link it is not possible to provide dofollow backlink every time. So, in such case, either you have to provide a Rel=nofollow tag by moving to HTML view of the content or you have to install a separate plugin. I did the same thing using a plugin. But, now Rank Math itself has this feature incorporated. That means, if you want to make every single outbound link as nofollow, then you can do this while running the wizard. But it is not good to provide every outbound link as nofollow. That’s why I have not applied this nofollow setting for sitewide. Rather, I am using their rel-nofollow checkbox and manually doing the outbound or affiliate links as nofollow without visiting the HTML view of WordPress editor. The biggest problem happened with the Yoast SEO Plugin was related to Images only. Due to some bug, websites image attachments started getting indexed and that’s why many websites saw a huge traffic drop. Anyway, with Rank Math SEO Plugin you can double sure that your image SEO is perfectly taken care of in different ways. You can perform various settings to optimize images. The schema is one of the most important website matrices you need in current time. To enable rich snippets or star rating within SERP results, I have to use a different plugin. I have used a couple of plugins like WP Rich Snippets, KK Star rating etc. But now with Rank Math, I don’t have to worry about anything. This plugin is completely handy to apply any kind of schema as per your content. Yes, they offer full schema support. If you are using Yoast SEO Plugin, then you have to use a separate schema plugin. In that case, I would recommend you to try MyThemeShop WP Rich Snippets plugin, which has been revamped recently. But this is a paid plugin and I would say, it is better to switch to Rank Math from Yoast SEO to enjoy schema feature for free of cost. At last, I am mentioning the most important & most used part of any SEO Plugin. It is the content analysis part. While using Yoast SEO Plugin, I found it confusing by seeing the Good or Bad options as a score. But with Rank Math, you can see the exact scores out of 100. In fact, if you compare the individual points also, you will find the Rank Math content analysis points are more clear and to the point. Just check out the image below and you can easily compare how boring Yoast SEO content analysis points are compared to Rank Math SEO Plugin. Just look the below image. This is the content analysis of this article only and how well I have optimized it for the keyword Rank Math Vs Yoast SEO. Although I am trying to get a better score gradually. But the instructions are so clear that one can easily work for writing better SEO optimized content using Rank Math SEO Plugin. 404 page not found errors are not good for your website. This kind of errors can be easily tracked via Google search console. The number of 404 errors means, your website’s user experience will go down and Google will gradually de-rank your website. So, to fix this 404 page not found errors, we have to redirect those URLs to valid URLs. Now this entire activity can be done with the help of Rank Math SEO Plugin itself. Yes, you don’t have to visit Google search console, simply go to Rank Math 404 monitor screen and you can keep a track of all the 404 page not found errors. Not only that, immediately you can redirect that URL to a valid URL using Rank Math redirection module. This is a Yoast SEO Premium feature. Subscribe To My YouTube Channel. I am going to share more useful tutorials in the coming days. So, don’t miss those videos. I have just now mentioned this must-have feature for every WordPress blog. Before Rank Math, I was using a WordPress redirection plugin to redirect all the broken links and 404 page not found errors. But as Rank Math has this awesome redirection mechanism inbuilt, you don’t need another plugin. That means I can get rid of another plugin, means more optimized WordPress site. While configuring Rank Math SEO plugin for the first time, you have to connect with Google search console using your Gmail address. This will connect your Google search console and fetch the entire data on your WordPress dashboard. That means you don’t have to visit Google search console separately to keep a track of your keywords, traffic, errors etc. Everything can be monitored from your WordPress dashboard through rank Math interface itself. In the case of Yoast SEO, integration part is there. But there is no way to monitor your Google search console data from your website dashboard itself. Which SEO Audit tool you are using to check your website SEO health? I am sure there are many such FREE SEO audit tools that we used till date. But Rank Math has an SEO audit tool in-built that you can use from your WordPress dashboard itself. Although you can separately visit Rank Math website to access that SEO audit tool and test any website. Can’t imagine, how come a single plugin can offer these many features. Yoast SEO Plugin doesn’t have any such SEO audit feature. If you want to continue with the Yoast SEO Plugin, then I would recommend you to try SEMRush SEO Audit tool. This is even better than Rank Math free SEO audit tool as this tool will give you exclusive detailed data of your website. Here is the snapshot of the Rank Math Free SEO Audit tool results I got for this website. You can visit the official link and check for the latest analysis though. Do you run a multi-author blog? Don’t know what is a multi-author blog? Well, from the name itself it is clear that multiple authors are writing on the same blog. E.g. ShoutMeLoud is a perfect example of a multi-author blog where 100+ authors are writing quality content. In that case, how to control the roles of every author? Now with the help of Rank Math SEO Plugin, you can easily control different roles of every type of authors. Simply an awesome feature for such a website. There is no such feature in Yoast SEO premium as well. Frankly speaking, I have never connected with the Yoast SEO plugin support team. But I had to connect with the Rank Math support team quite a few times. There is no doubt that, as Rank Math is new it is facing a lot of issues and bugs. I am sure that is the story of every new invention before it gets settled down. But what I found amazing is their support. They are a team of very active members who will answer your questions within 24 hours time. You can also join the rank Math Facebook Group and put your questions. You will get a response by the MyThemeShop team as early as possible. You can even raise a ticket on Rank Math SEO forum as well. So, my point here is when Rank Math is offering these many additional features compared to the Yoast SEO Free plugin, then why not to try Rank Math? If you have subscribed for Yoast SEO plugin premium, then I am sure you are enjoying these features already. But for beginners, it is good to start with Rank Math SEO plugin with so many awesome features completely free of cost. On top of that after installing Rank Math SEO plugin, I have uninstalled 5 plugins straightaway. I am sure you are aware that, less number of WordPress plugin usage will speed up your WordPress site. I am not asking you to uninstall Yoast SEO Plugin and set up Rank Math SEO Plugin now. Rather, you can try Rank Math SEO Plugin on a separate website and test as per your need. If you find it suitable or better compared to Yoast SEO, then you can switch to Rank Math SEO Plugin. So, do you agree with my points on this comparison between Rank Math Vs Yoast SEO Plugin (FREE)? If not, then feel free to write a comment below and share your thoughts & experiences. It is worth to debate on this topic, as ultimately we need the best WordPress SEO Plugin for our blog. Thanks, a buddy for sharing your feedback. It is actually killing many birds by incorporating so many features. Thank you, Anupam for these kind words. Thank buddy for finding this comparison using Yoast SEO Vs Rank Math SEO. using Yoast SEO we can do SEO around one focus keyword. this Rank Math includes up to 5 focus keywords. helpful. and I have a question, is it to matter on focus keyword?. is repeating the same keyword is better?. it may lead to keyword stuffing. is there any feature to suggest some LSI keywords for the focus keyword. using LSI keywords better than repeating the same keyword in the SEO aspect. Yes Venkat, Rank Math will give you suggestions around your focus keyword. The purpose is to choose 5 keywords and try to optimize your article around the keyword. It will not be keyword staffing, we keep the density optimal. Hey there, you really made me to give a try to rankmath. I will surely start to use it now. I am happy that I am able to share something useful for you. But you must try Rank Math, this plugin alone is enough to do many tasks. Thant was an cool comparison article Santanu. I have used Yoast SEO in past, it’s a wonderful plugin. But, yeah Rank Math plugin came in the industry with a bang. I too have already switched to RankMath and enjoy their tons of schema features. Importantly schema, auto suggestion keywords, multi keyword optimization and what not list is long. Thanks buddy for sharing your feedback, after using Rank Math on your blog. I become a fan of this plugin. I haven’t tried Rank Math plugin yet but after reading this article I’ll try it on my new website. Yes, you must try Rank Math as you have a plan to start a new website. This plugin is going to be more powerful soon. Thank you for finding this useful. I was delighted by your article Santanu Debnath G. The most startling feature I noticed in Rank math is Google auto-suggestion keyword which will help in increasing the semantics of the Blog post. For me, it means better ranking on different keywords. Thanks for the lovely analysis. Thank you Santosh for your kind words and finding this Rank Math comparison guide useful. I have been using this plugin since it was launched to beta testers like me. I must say I agree on all the points which you have mentioned above. Thanks, Pawan for finding this comparison useful. It’s indeed a great joy to bed here again after a bit gap. I am so glad that I found this post shared on a group. A wonderful comparison you did here. I am already using yoast SEO plugin. After reading this it tempts me to go for Rankmath. As you suggested I will try this Friday with my other blog. It’s really I interesting to note that immediately after installing Rank Math WordPress SEO Plugin, you have removed 5 plugins since Rankmath do it’s functions. That’s really a wonderful feature. Thanks for sharing the past connected links you shared will check that later. Thank you Philip for sharing your inputs. Wow! This is a well written, concise Blog post (I loved the disclaimer added at the start). I know the the ton of time and effort it takes to deliver such an authoritative Blog post. Thank you! I’ve been a YOAST advocate for years. I’ve never really even thought of looking elsewhere. It seems YOAST’s competition has grown in leaps and bounds. This Blog post link was shared on my FB timeline, I clicked the link simply because I was a YOAST advocate. It’s definitely shaken my complacency that YOAST is the ‘The Only’ WordPress SEO plugin worth considering. I wish the YOAST people read this as well. It may shake their complacency a little if they did. This would be good for all WordPress bloggers :-). I’ve asked to join your Facebook group BTW. I’d love the opportunity to continue to engage with such high quality throughout. Thanks a lot, Ivan for sharing your honest feedback and finding my efforts useful. I am using Yoast SEO free version from almost 2 years and have never thought about this any more. As you said there are so many options which Rank Math is offering for free which are in premium version of Yoast SEO. I think now I should give it a try. This comparison of yours has made me think a lot to use Rank Math in my blog. You are right. Rank Math features are very much lucrative and without any doubt the best Yoast SEO alternative.